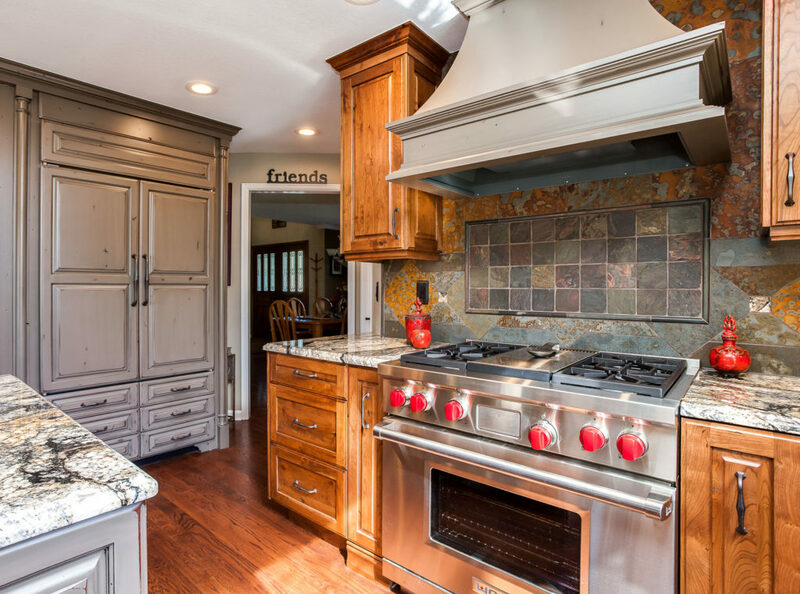 A well-designed kitchen in Denver is a perfect combination of form and function that provide years of happiness. From a form standpoint, the kitchen needs to work. That’s why we begin the design process by asking our clients who will use the kitchen, for what purposes and how often. That information enables us to craft custom solutions to meet our client’s unique needs and exceed their expectations. There are commonalities to every well-designed kitchen starting with storage. One secret to designing a great kitchen is to develop a storage plan that addresses how often you cook, entertain and hold gatherings. We start by accessing what currently exists in your kitchen. We advise our clients to inventory their cookware, bakeware, kitchen tools, storage containers, cutlery, knives, utensils, gadgets and countertop appliances and estimate the frequency of use. 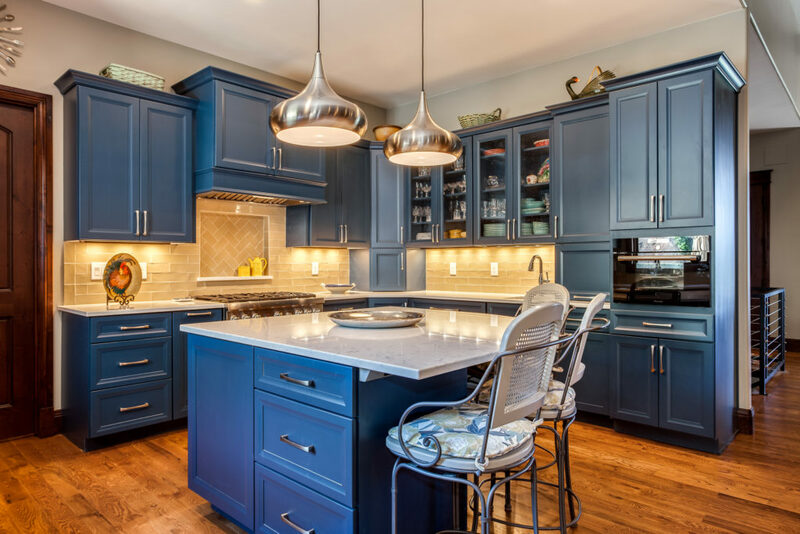 Identifying the most-used items in a kitchen empowers our kitchen designers to create custom plans that make kitchens function so much more effectively. We recommend purging items that you never use. 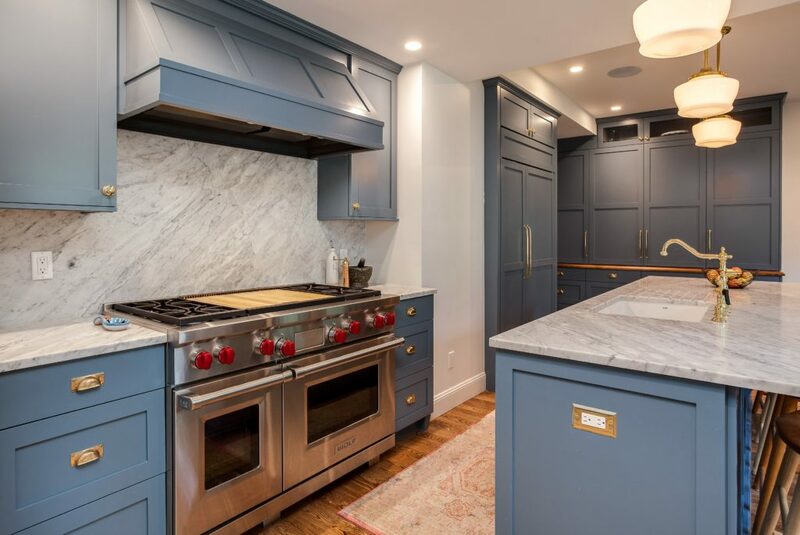 Space permitting, things that are used infrequently or even as little as once a year (the large roasting pan for Thanksgiving turkey) can be relegated to upper cabinets or other rooms in the home thus opening up prime real estate for the most frequently accessed utensils and equipment. Check out our guide to creating a clutter-free kitchen for more ideas. A second key to a well-designed kitchen is to invest in high-quality, high-performing, statement-making countertops. Not only are countertops relied upon for meal preparation, but they are also used for cooking, eating, entertaining, doing homework, charging electronics, reading, relaxing and spending quality time together with family and friends. Countertops serve practical and aesthetic functions that can make or break a new kitchen. 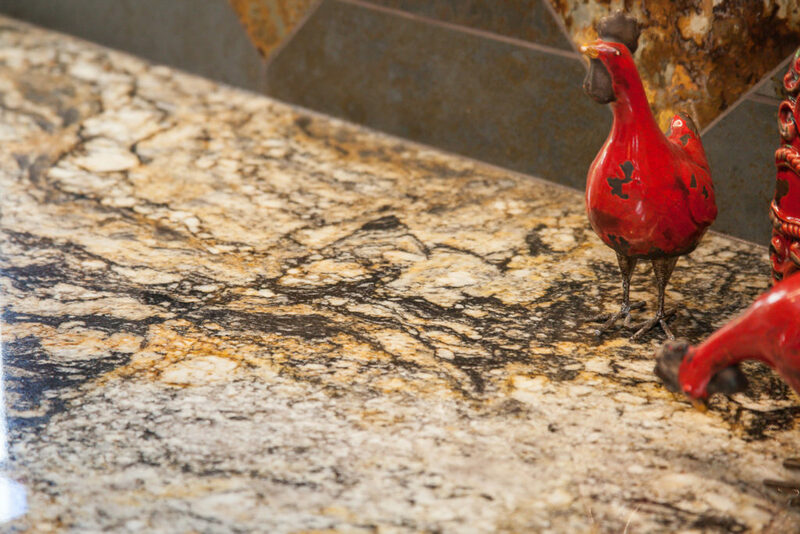 Click here to obtain a guide for selecting countertops. The lighting can make or break how your kitchen looks, feels and functions. Lighting is equally as crucial as cabinets, countertops, appliances, backsplashes, flooring, sinks and faucets. Notice how the lighting is layered in this kitchen to contribute not only to the functionality of the kitchen but also to its design and beauty. Appliances should reflect how you will use the kitchen. If you entertain frequently, you may want double ovens, a large refrigerator and even two dishwashers. If space is at a premium, you might find compact appliances can save space and improve functionality. The details are essential in a well-designed kitchen. The kitchen faucet is the most used appliance in a home. That’s why we often advise our clients to invest in high-quality, high-performing plumbing fixtures. You also need to pay attention to cabinet hardware as it serves as the jewelry for your cabinets. 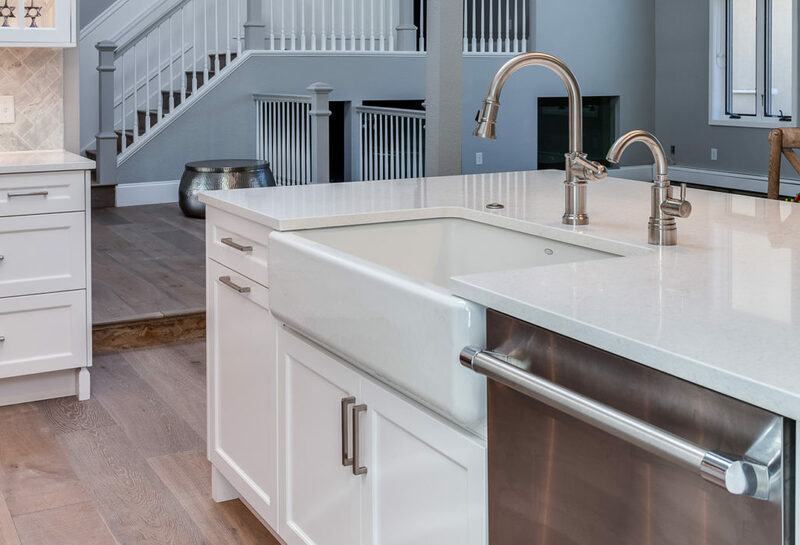 Be sure to appropriately accessorize your kitchen with functional and convenience serving equipment such as waste disposers, filtered water, soap dispensers and instant hot and cold faucets. 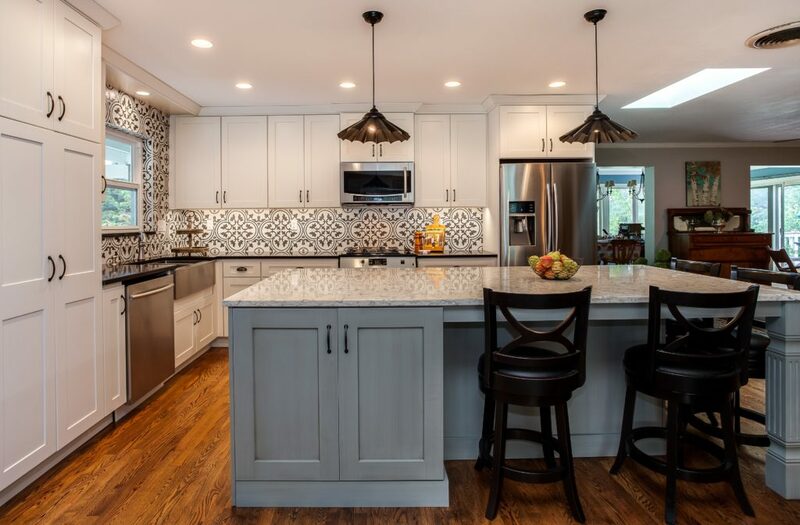 Backsplashes are another component of a well-designed kitchen because not only do they serve as a focal point of any kitchen, but they also represent one of the few opportunities for homeowners to express their originality and personality. There are countless options. Finding the perfect backsplash can genuinely define a space and add real beauty to a kitchen. Functionally, a stone, quartz or tile backsplash is much easier to clean than painted surfaces or wallpaper when food bits and grease splatter on the wall. A final element of a well-designed kitchen is floor covering. The key is to incorporate floorcovering material into the rest of the design. Make your home the envy of your Denver neighborhood and give us a call.